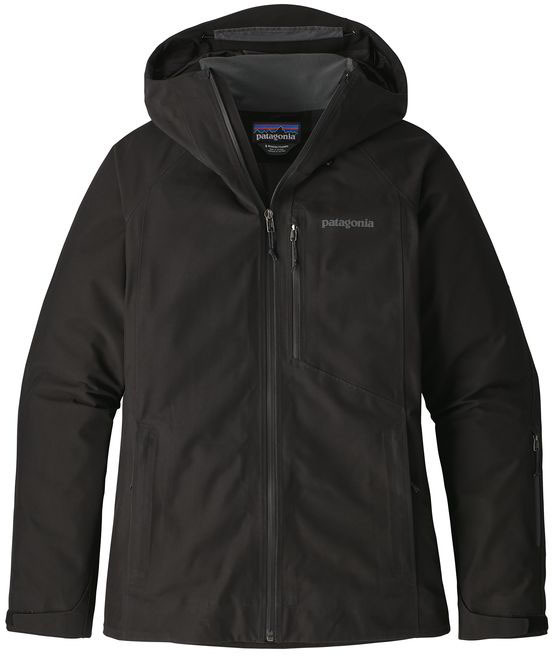 The Patagonia Women’s Powder Bowl Women’s Jacket has a 2 layer Gore-Tex fabric with a mesh lining for wicking away sweat and also comfort. The Powder Bowl shell is made to withstand any kind of weather and comes with some really great pockets as well as powder skirt and a pretty helmet compatible hood. I sized down to a small for this jacket, since Patagonia seems to run a bit larger than other brands. We try to get as many images of the Patagonia Powder Bowl Womens Jacket, but forgive us if they're not all there.